As federal Parliament prepares to debate legislation to enshrine a Pacific Rim trade deal, new economic modelling commissioned by business groups finds that the pact will deliver modest income benefits to Australia, despite the United States withdrawing. The Labor opposition is expected next week to quietly support the Morrison government&apos;s efforts to legislate the Trans-Pacific Partnership-11, after earlier equivocating following US President Donald Trump&apos;s decision last year to quit the landmark pact. The absence of the world&apos;s largest economy dealt a blow to the economic benefits tipped to flow from the multilateral deal, but a report by two international economists for Australian business groups concludes the overall benefits will outweigh the negative impact of the US withdrawal. Economic modelling by Peter Petri and Michael Plummer estimates that by 2030 the 11-country trade liberalisation deal will increase Australia&apos;s national income by $15.6 billion, boost exports by $29.9 billion, lift investment in Australia by $7.8 billion and lead to $26 billion more in overseas investment by Australian businesses. The 26-page report also claims the trade agreement will lift wages, including for lower-skilled workers. As a proportion of Australia&apos;s economy, the report notes the income gains to the country are "relatively modest", typically below 1 per cent. If the 11-country agreement is ultimately expanded to 16 members, the report notes it would more than offset the adverse effects of the departure of the US. The House of Representatives is due next week to begin debating the TPP-11 enabling legislation under new Trade Minister Simon Birmingham, with the Morrison government keen to press its economic credentials to voters and business in the wake of political turmoil in the government. Minerals Council of Australia chief executive Tania Constable, who helped commission the report, said Parliament should pass the TPP-11 enabling legislation so the benefits can start flowing to Australians as soon as possible. "The modelling&apos;s sectoral analysis finds that farming, mining, manufacturing and services will all be better off under the TPP-11, with more open regional markets leading to higher exports and higher domestic output," she said in a statement. The Labor caucus and shadow cabinet will next week formally consider backing the TPP enabling legislation, after Japan, Mexico and New Zealand were among members to already ratify the deal. Though there are some reservations inside Labor about labour market rules and investor-state dispute settlement resolutions in the multilateral pact, Labor and industry sources said trade spokesman Jason Clare and senior colleagues were poised to back the economic and strategic benefits of the trade agreement and not stand in the government&apos;s way. Trade unions have claimed the deal could have a negative impact on local jobs and wages. Since President Trump quit the accord last year, Labor Opposition Leader Bill Shorten, a former union leader who maintains close ties to the workers&apos; movement, questioned the value of Australia signing up and criticised Malcolm Turnbull&apos;s efforts to persist. Mr Birmingham said it was important that Australia ratify the TPP-11 "as soon as possible" to avoid being at any competitive disadvantage. "Even though Bill Shorten was previously willing to give up on even trying to secure these benefits for Australia it is now important that the Labor Party backs Australian businesses and Australian jobs by supporting the quick passage of the TPP-11 legislation through the Parliament." The Greens have tried to frustrate the passage of the TPP enabling legislation by referring the legislation to another parliamentary committee inquiry. In reality, Labor is not able to amend the text of the international deal. It will need to vote either for or against it. 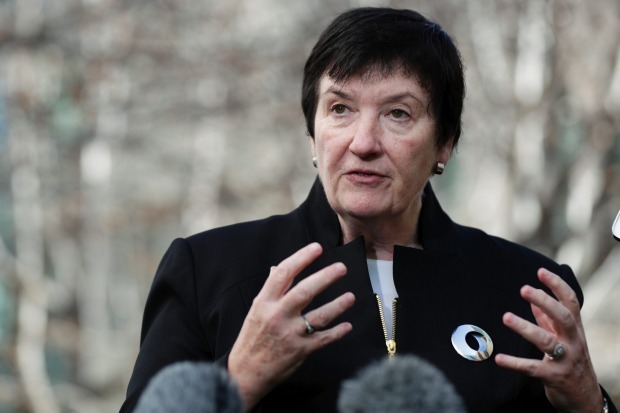 Business Council of Australia chief executive Jennifer Westacott said Parliament must take a long-term view of the TPP-11 as a platform to expand the membership in the future. "Not passing the legislation now could also have serious implications at a time of rising international trade tensions," she said. The report is endorsed by the Australian Industry Group, Australian Chamber of Commerce and Industry, Export Council of Australia, Minerals Council of Australia (MCA), Financial Services Council, Australian Petroleum Production and Exploration Association, Business Council of Australia, Winemakers&apos; Federation of Australia, Freight and Trade Alliance and the Australian Food and Grocery Council. Published on Tue, 04 Sep 2018 13:45:00 GMT, © All rights reserved by the publisher.